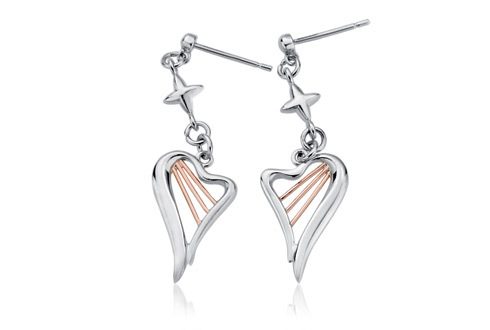 Inspired by the musical instrument of Wales, adopted in the 17th century, the Heartstrings® drop earrings elegantly acknowledge a tradition begun in 1660, where an official harpist was appointed to the Royal court. Expertly handcrafted, the Heartstrings® drop earrings contain rare Welsh gold and provide a perfect piece of jewellery to wear everyday. I love the earrings, very pretty. Perfect, very beautiful, comfortable to wear. Bought as I gift and hope the beneficiary likes the earrings as much as I do. 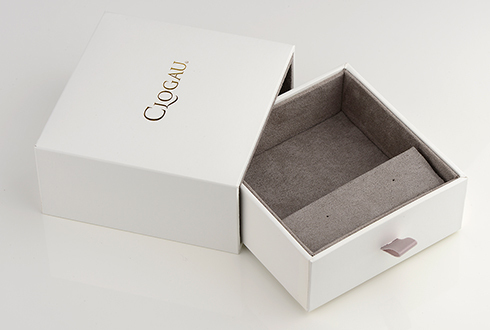 Shopping Clogau is a delightful experience. Beautiful pieces and wonderful service. Order your Heartstrings Earrings before 4pm on a working day and we'll despatch your Heartstrings Earrings the same day (stock permitting). During very busy periods (i.e., near Christmas and Valentine's Day) your order may be despatched the next working day. Guaranteed by Royal Mail to reach you the next working day (excluding bank holidays) if you order your Heartstrings Earrings before 4pm and your Heartstrings Earrings are in stock. Your Clogau Heartstrings Earrings are protected against all manufacturing faults for 2 years with our free extended warranty cover. Register your Heartstrings Earrings for extended warranty online. https://www.clogau.co.uk/jewellery/item/heartstrings-earrings-3shse02 3SHSE02 Heartstrings Earrings https://www.clogau.co.uk/i/3SHSE02/3SHSE02.jpg 109 GBP InStock Earrings Heartstrings Inspired by the musical instrument of Wales, adopted in the 17th century, the Heartstrings® drop earrings elegantly acknowledge a tradition begun in 1660, where an official harpist was appointed to the Royal court.